So what's a Tote Bag? It's basically a re-modelled Shoulder Bag, which - as the name suggests - goes over your shoulder, but the main difference is design. A Tote Bag has a gusset at the base only whereas a Shoulder Bag has a gusset on all 3 sides. Tote Bags are one of the best methods to get your companies brand out on the street because people will choose to carry your bag. Check out our previous post about Easy Fashion for more info. 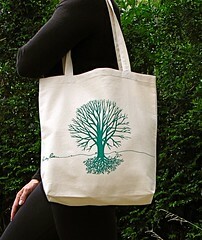 thanks for sharing great information about Tote bag. great way of promoting new products through it. This is a nice post, I agree that the Tote bags are really on of the best methods to promote products. Thanks for sharing.